To claim this profile, please confirm you are Brooke Bischop. To follow this profile, please let us know your relationship to Brooke Bischop. Brooke's basketball stats have been updated for the loss @ Calistoga. RESULTLoss Girls varsity basketball @ Calistoga. The Mendocino varsity basketball team lost Wednesday's away playoff game against Calistoga (CA) by a score of 51-41. 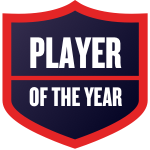 Brooke was named Mendocino Girls Basketball Player of the Year. Brooke was selected the Player of the Game in the basketball game against Fort Bragg on Sat, Feb 09 2019. Bischop was unstoppable to the rim against Fort Bragg, getting herself to the line 17 times. Her hustle and consistent effort was key for the Cards. Brooke's basketball stats have been updated for the loss @ Fort Bragg. RESULTLoss Girls varsity basketball @ Fort Bragg. The Mendocino varsity basketball team lost Saturday's away non-conference game against Fort Bragg (CA) by a score of 53-35. Brooke was selected the Player of the Game in the basketball game against Anderson Valley on Thu, Feb 07 2019. Brooke's basketball stats have been updated for the win @ Anderson Valley. RESULTWin Girls varsity basketball @ Anderson Valley. The Mendocino varsity basketball team won Thursday's away conference game against rival school Anderson Valley (Boonville, CA) by a score of 55-35. Brooke's basketball stats have been updated for the win @ Round Valley. RESULTWin Girls varsity basketball @ Round Valley. The Mendocino varsity basketball team won Tuesday's away conference game against Round Valley (Covelo, CA) by a score of 37-30. 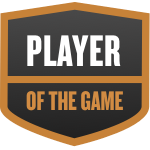 Brooke was selected the Player of the Game in the basketball game against Potter Valley on Tue, Jan 29 2019. Brooke's basketball stats have been updated for the loss @ Laytonville. RESULTLoss Girls varsity basketball @ Laytonville. The Mendocino varsity basketball team lost Thursday's away conference game against Laytonville (CA) by a score of 42-24. Brooke's basketball stats have been updated for the win @ Potter Valley. RESULTWin Girls varsity basketball @ Potter Valley. The Mendocino varsity basketball team won Tuesday's away conference game against Potter Valley (CA) by a score of 40-38. Brooke's basketball stats have been updated for the loss @ Upper Lake. RESULTLoss Girls varsity basketball @ Upper Lake. The Mendocino varsity basketball team lost Saturday's away non-conference game against Upper Lake (CA) by a score of 44-38. Brooke's basketball stats have been updated for the loss vs. Laytonville.